Fresh from his success in the ‘World Marathon Majors’, competing in Tokyo, Boston, London, Berlin, Chicago, New York and Frankfurt, MDP Sergeant Aaron Wilson has just kept on running. 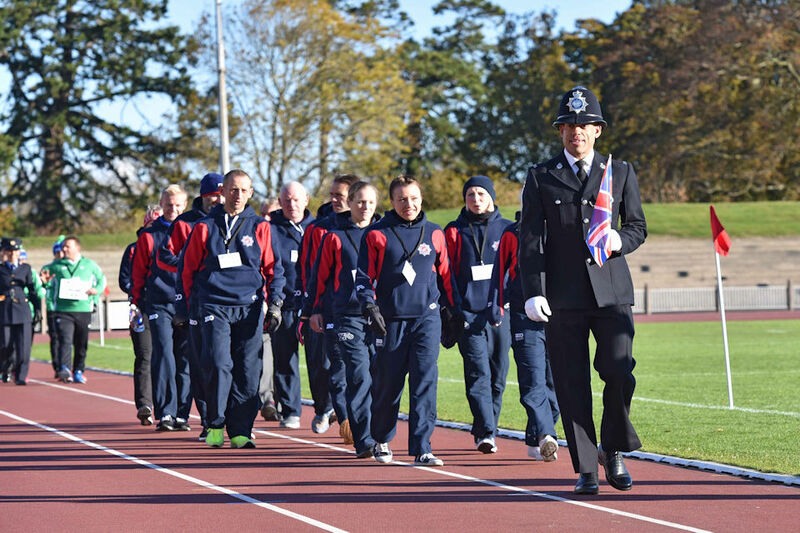 Based in Berkshire, Aaron’s latest exploits include being selected as one of 6 police officers across all forces to represent the UK at the European Police Marathon Championships in Dublin in October, which was incorporated within the annual Dublin Marathon. The day before the race was the opening ceremony and, as the first MDPofficer to represent the UK, I was given the honour of carrying the flag. Going into the marathon I knew the course was undulating but was still hoping to better last years’ time of 2:32:41 set in Frankfurt. The conditions were perfect and the race itself went to plan and I achieved a new personal best of 2:31:26. I came 12th out of 140 within the Police Championships and 45th out of 16,000 overall. As a team we won Bronze in the men’s team and Gold in the women’s. It was the UK’s best ever medal haul! Looking back on the weekend it was a fantastic event to be part of. I would like to thank all my work colleagues for their support and also the MDP Sports Association for its continued sponsorship. Participants of European Police Marathon Championships 2018 in Dublin. Aaron’s commitment and determination is an example to us all.